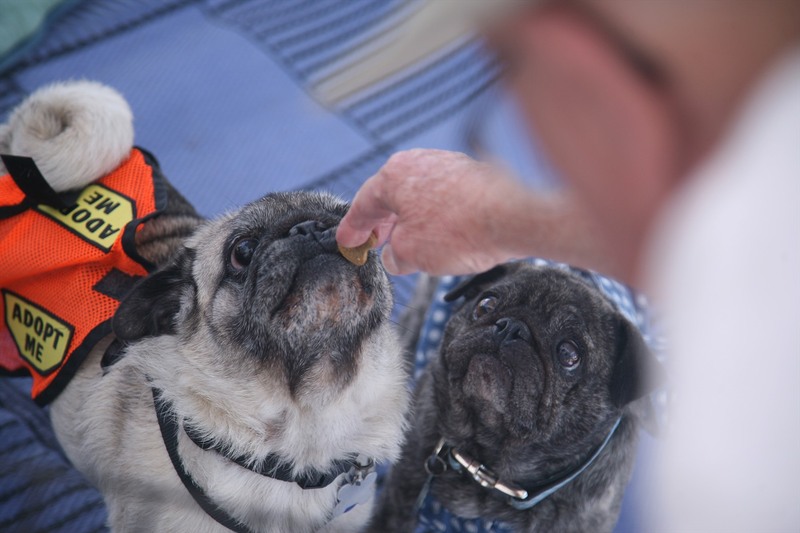 Two adoptable pugs score a treat at the East Bay SPCA’s Adopt-a-thon at Jack London Square. Turn-ins are either shelter or owner surrenders to the rescue group, and sometimes dogs that are even found abandoned. Temples is a part-time volunteer who gives up one to two weekends a month driving around the Bay Area and California picking up turn-ins. 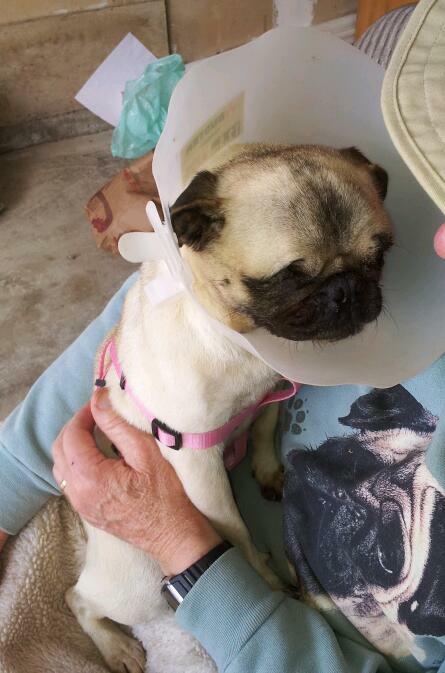 She’s even gone as far as Nevada for a double pug adoption drop-off. She says the hardest part of the job is picking up dogs from owners turning them over for medical or financial reasons. PROS volunteer Elena Temples poses with a pug at the “Pugtacular” event in Danville, hosted by the Northern California Pug Club. But Temples also has her fair share of horror stories. Dogs dumped on the side of the freeway, left outside a shelter, turned over in deplorable medical conditions and turned over without any emotion. She also has seen owners turn over senior dogs in their teens because they have become “too difficult to care for,” something she says they see at least twice a month. What a face! 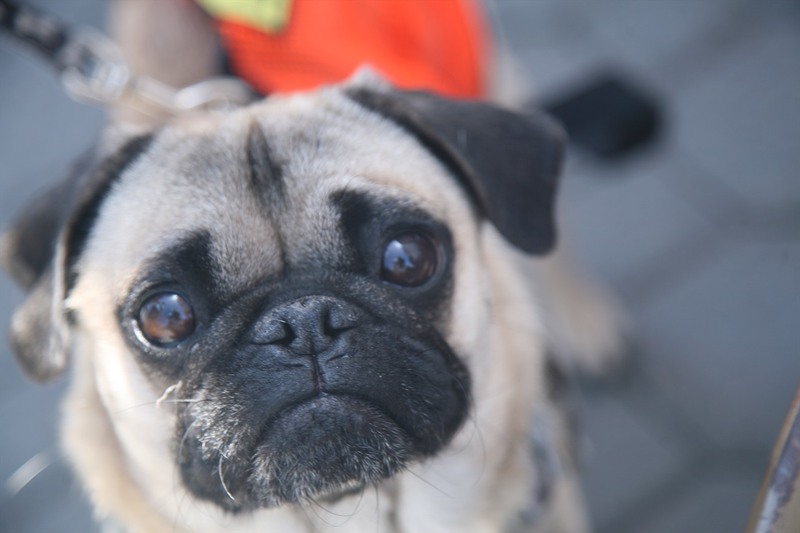 This pug does his best puppy-dog eyes at the Adopt-a-thon in Oakland. The PROS President also reminds those looking for a new furry family member that pet stores are not the way to go. Temples wanted to introduce us to one of PROS’ recent rescues, Helen. Helen was found hiding under a car in a parking lot in a rough Bay Area neighborhood. 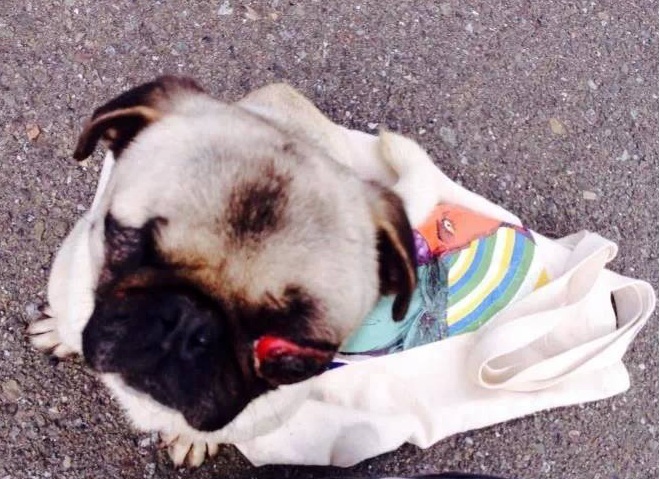 The two girls who found her discovered she was missing an eye, which had been sewn shut. But not only was Helen missing an eye, her other eye was almost completely out of its socket, so Helen was completely blind and terrified. She had been dumped on the street and was starving. Helen was in rough shape when she was found; her eye was popping out of its socket and needed to be removed. The two girls were able to coax Helen out from under the car with some food and took her to the shelter, who then called PROS. 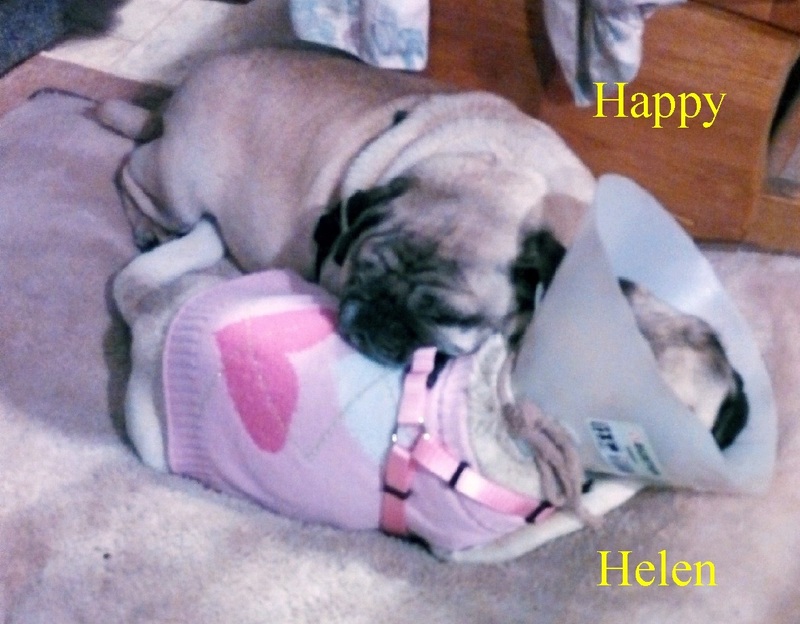 They had two days to find a foster home for Helen, so they took to Facebook to tell her story. Helen got over 10,000 views on Facebook and the offers to help were pouring in. The next afternoon, Helen had a foster home. It took a few days to adjust to the love of her new foster parents but Helen has bounced back into a vibrant, happy little girl. She received some much-needed medical care, including the removal of her other eye. If you want to get involved in PROS, they have established an Amazon wishlist where generous donors can purchase items and send them directly to the shelter. Things like flea medicine, potty pads and doggy beds are always in demand. “So many dogs come to us with nothing, not even a collar or bowl to call their own,” Temples says. PROS volunteer Danielle crades a pug at an adoption event. The rescue is always in need of volunteers to help at these events and with other tasks. Medical issues are also becoming more extreme, so the rescue is always in need of monetary donations to cover vet costs. Volunteers are also crucial to keeping the rescue operations going. 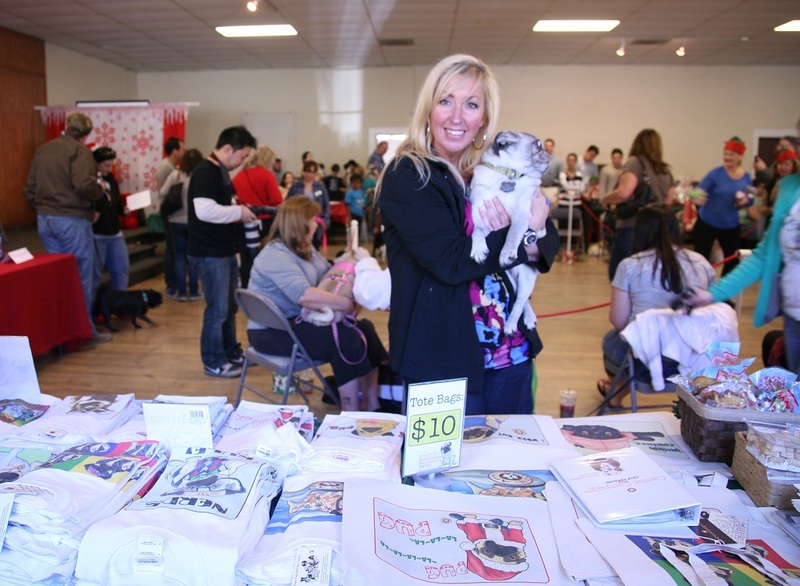 PROS will be at the Furry Pet Fair May 31 at Baldwin Park in Concord. They will also take part in the East Bay SPCA’s July Adopt-a-thon at Jack London Square in Oakland. 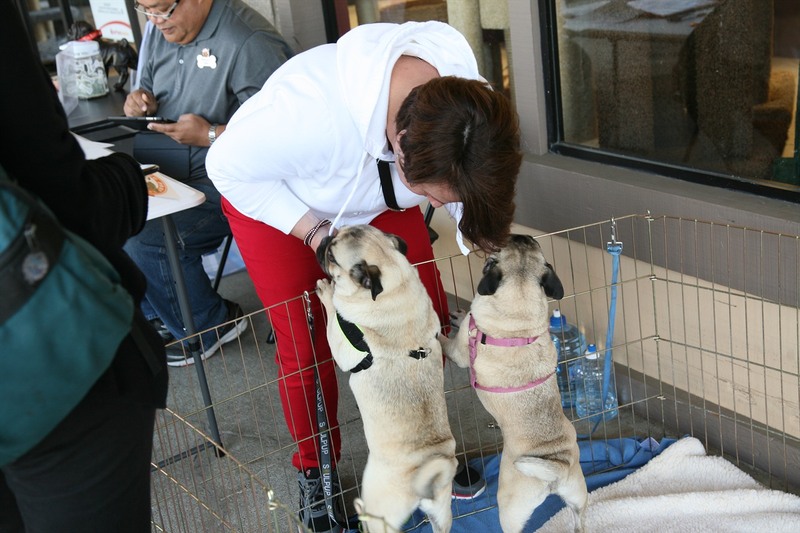 This entry was posted in Rescue Me and tagged adoption, Bay Area, dogs, Pug Pros Rescue, rescue dogs by jaqbennett. Bookmark the permalink.